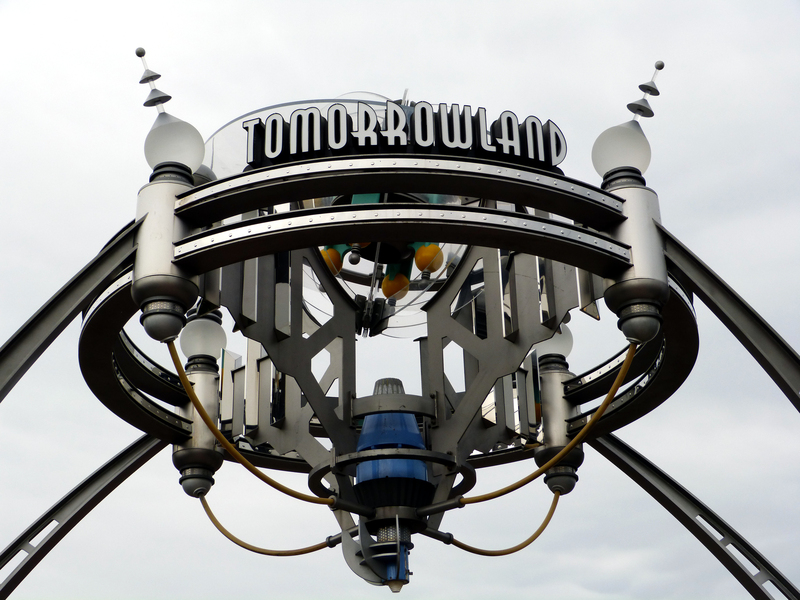 Tomorrowland was originally envision to be Walt’s dream of the future, the only problem is that the future comes quickly and therefore needs updating frequently. 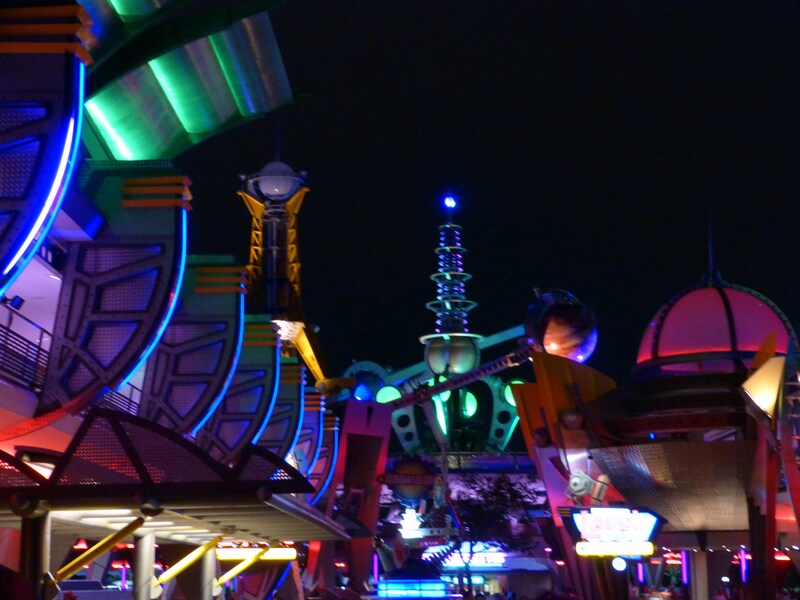 Currently Tomorrowland is home to a hodge-podge collection of attractions ranging from space exploration, alien invasions, monster’s making us laugh, and a great, big, beautiful tomorrow. 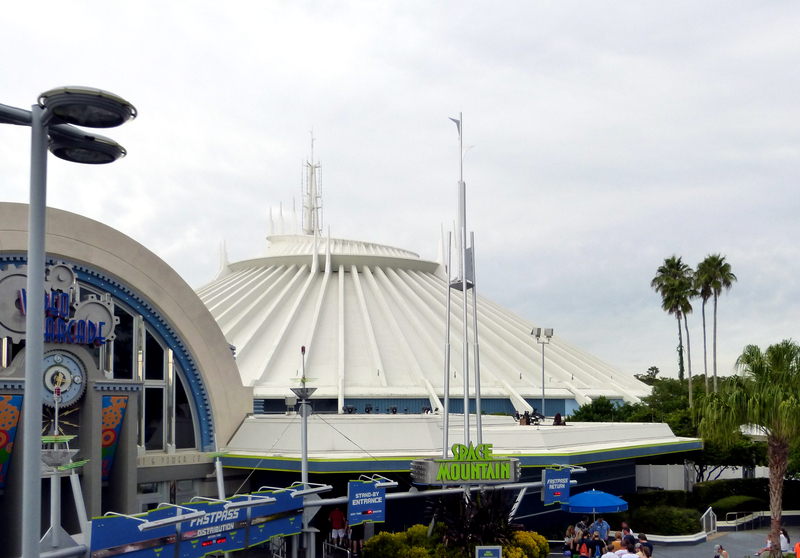 Space Mountain looms large over Tomorrowland and features Walt Disney World’s first indoor, dark roller coaster. Built in the 1970’s, it’s a bit of bumpy ride, but still a classic and fun attraction. The PeopleMover is a great attraction on a warm day to get off your feet and into the shade. Get a bird’s eye view of Tomorrowland, see Walt’s model for EPCOT, and zoom through Space Mountain, Space Traders, and Buzz Lightyear Space Ranger Spin. There is usually a minimal wait for the PeopleMover, and its a continuously loading attraction, so it’s a good one for a nice mid-day break. Don’t forget to stop by Monster’s Inc. Laugh Floor while you are in Tomorrowland. You will be treated to a comical animated improv show with lots of audience participation. Tomorrowland is also home to arguably the least popular attraction in all of Walt Disney World: Stitch’s Great Escape. Stitch is a much beloved character, and Alien Encounter was much too scary for Magic Kingdom, so it made sense to change the attraction. However, the results are quite unfavorable and Disney has begun operating Stitch’s Great Escape on a seasonal basis. 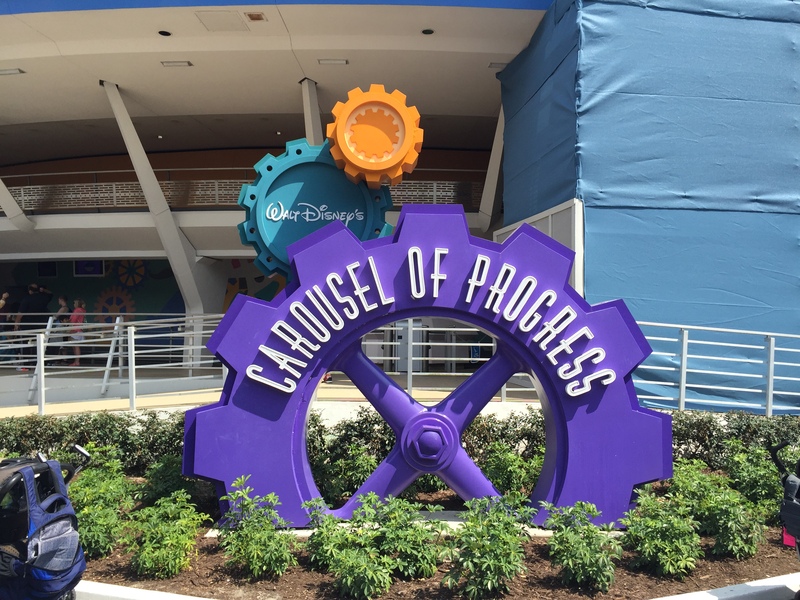 Rumors are swirling that this attraction may not be long for this world, but as of right now, those are just rumors. Tomorrowland can be accessed off the right side of Main Street U.S.A., and through Fantasyland.